Species are dependent on each other in the foodweb. 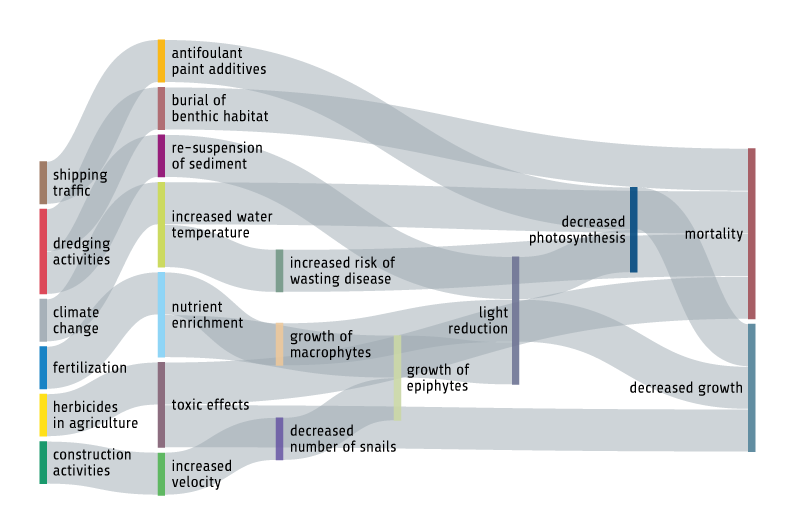 Changes in one species will impact others via effects on food availability or competition. 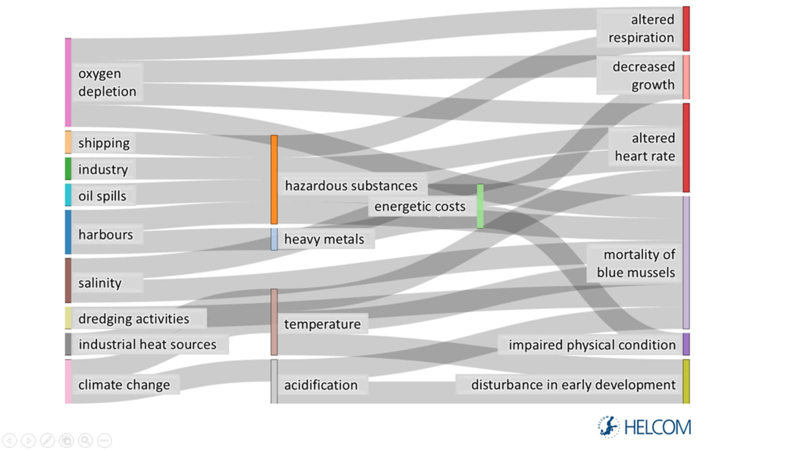 The biodiversity core indicators show that inadequate status occurs in all levels of the food web, suggesting that environmental impacts on species are wide-reaching and not restricted to certain geographic areas or parts of the food web. Declines in the nutritional status and size structure of cod, the nutritional status of grey seal, and the size structure in zooplankton in some areas point towards a deteriorating food web status. 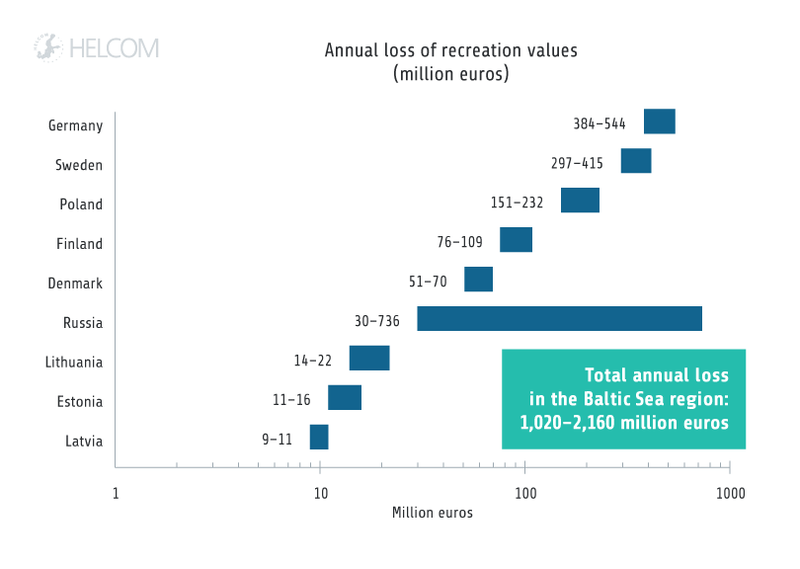 The biodiversity assessment shows that many species and habitats in the Baltic Sea have inadequate status. 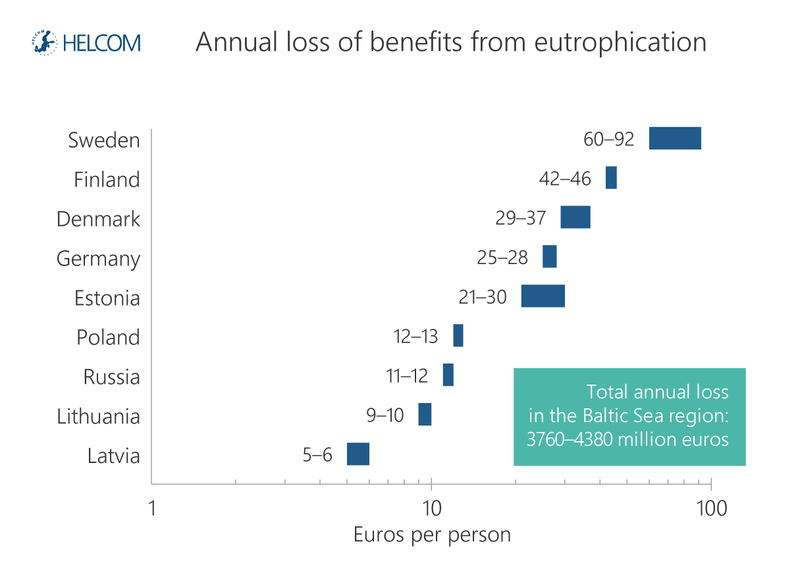 Only a few biodiversity core indicators achieved the threshold values in at least part of the Baltic Sea, and none of them achieved the threshold values in all assessed areas. The integrated assessment of benthic habitats indicates good status in six out of thirteen assessed open sea areas, based on the available indicators and data. The assessment however only represents soft-bottom habitats, while the status of hard bottom areas is not assessed due to lack of indicators. In coastal areas, slightly above half of the assessed area show good status. The integrated status of pelagic habitats indicate good status in the Kattegat, but not in any other open sea area. Pelagic habitats in the open sea are evaluated by core indicators representing phytoplankton biomass and the frequency of cyanobacterial blooms, and in six of the open sea sub-basins also by a core indicator on zooplankton. Coastal pelagic areas show good status in about one fifth of the assessed area. 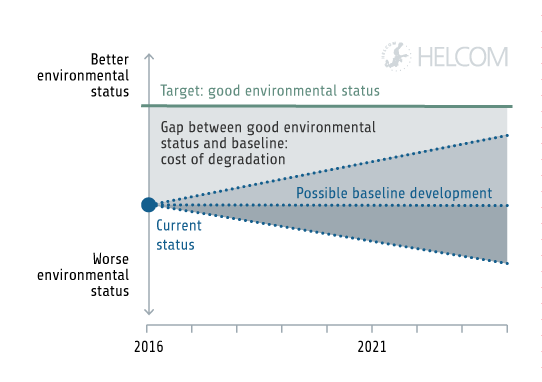 The assessment based on HELCOM core indicators was supplemented with information from the most recent HELCOM Red List assessment (HELCOM 2013b). Altogether, fifty-one macroscopic species of benthic fauna are red-listed. 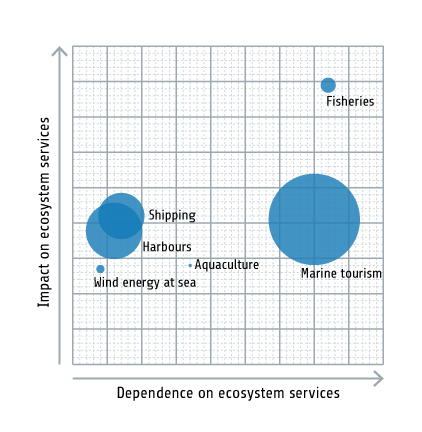 However, not all species occurring in the marine region are evaluated. The list also includes eleven species of macroscopic plants and algae, out of 317 assessed. 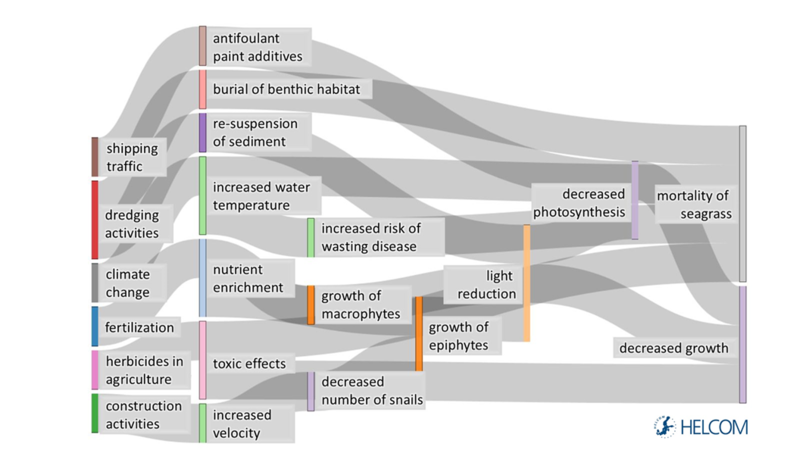 A HELCOM threat assessment for biotopes and biotope complexes identifies seventeen biotope complexes as threatened, and ‘aphotic muddy bottoms’ are categorised as critically endangered. The evaluation represents a minimum estimate, based on available data. 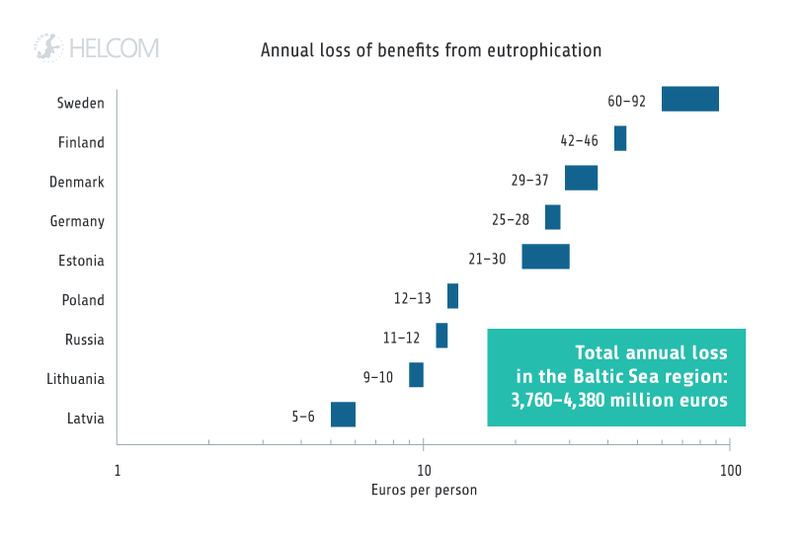 Eight out of ten assessed biotope complexes (comparable to ‘habitats’ as defined in Annex 1 of the EU Habitats Directive) are categorised as threatened in the Baltic Sea. The assessment of fish from a biodiversity perspective indicate good status in about half of the assessed coastal areas. The integrated status of pelagic fish in the open sea is assessed as not good in the southwestern Baltic Sea, the Gulf of Riga and the Gulf of Bothnia. 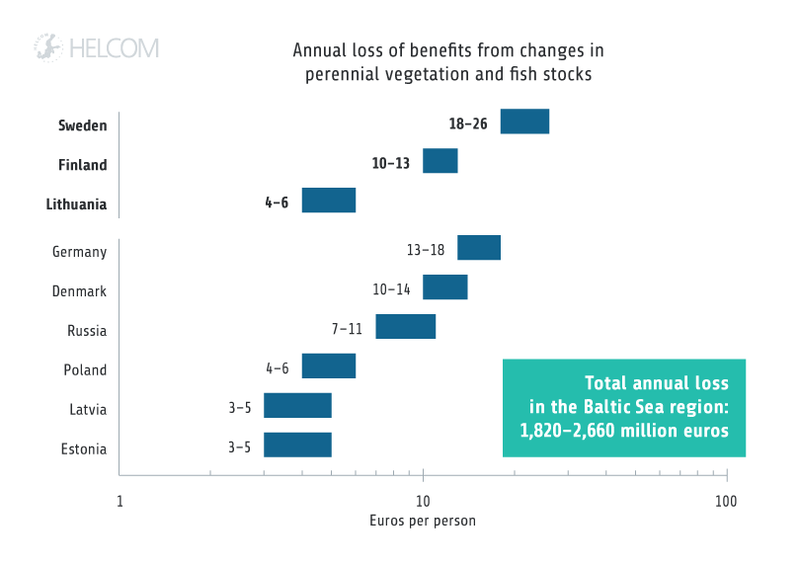 Demersal fish do not show good status in any part of the Baltic Sea, reflecting a too high fishing pressure on both Western and Eastern Baltic cod stocks. 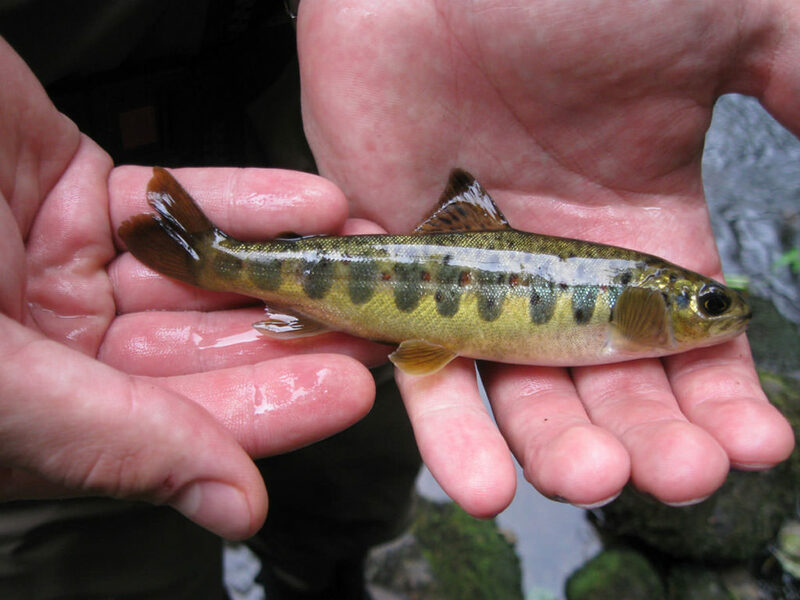 The core indicators for the migrating fish species salmon and sea trout show inadequate status in about half of the areas where they are assessed. Among the marine mammals, grey seal and ringed seal show inadequate status, and harbour seal shows good status only in the Kattegat. The abundance and distribution of several seal populations has, however, increased in recent time. Harbour porpoise is not as yet assessed by a core indicator, but according to the HELCOM Red List, both sub-populations occurring in the Baltic Sea are categorised as threatened (HELCOM 2013b). The two core indicators for abundance of waterbirds during the breeding and the wintering season along the coastline both achieve their threshold values at the Baltic Sea scale, although the results as finer geographic resolution show differentiated results. An overall assessment of birds in the Baltic Sea is not possible, since birds in open sea areas are not included in the indicators. 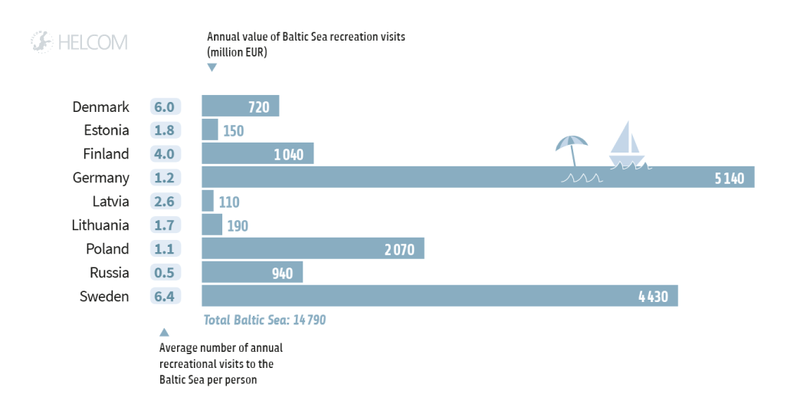 However, many bird species in open sea areas show strong Baltic-wide declines (Skov et al. 2011). Taken together, the results may also indicate the overall status of the food web, since all species are dependent on each other and connected in the ecosystem. Predatory species require a sufficient production of prey in order to maintain sustainable populations. From the top-down perspective, a deficiency of predators may lead to a reduced trophic regulation, with destabilisation of food web structure and function. Species at higher trophic levels may be particularly suitable indicators of food web status, due to this dual role, and since they are exposed to pressures both directly and via impacts that accumulate in the food web. The ongoing decline in nutritional status of some fish populations is an important signal of ecosystem impacts, in addition to the results reflected by the core indicators. The condition and size structure of Eastern Baltic cod has declined sharply in recent years, likely reflecting large scale changes in the Baltic Sea ecosystem due to ongoing environmental pressures, and impacting, in turn, on the status of species in other parts of the food web. Potential explanations for the decline include overfishing, predation, and parasite infections, but many pressures are likely contributing. The widespread and increasing distribution of areas with low oxygen concentrations in the deep water is a particular concern, potentially affecting both pelagic and benthic productivity, and hence the basis for ecosystem productivity. Similar changes may also be seen in other species groups. For example, the core indicator for grey seal nutritional status does not achieve the threshold value, and the nutritional status of sub-adult grey seals shows a declining trend. These changes remain to be understood but could be connected to populations approaching their carrying capacity. Indicators representing the lower trophic levels of the food web are important as they may explain reasons behind any large scale changes. 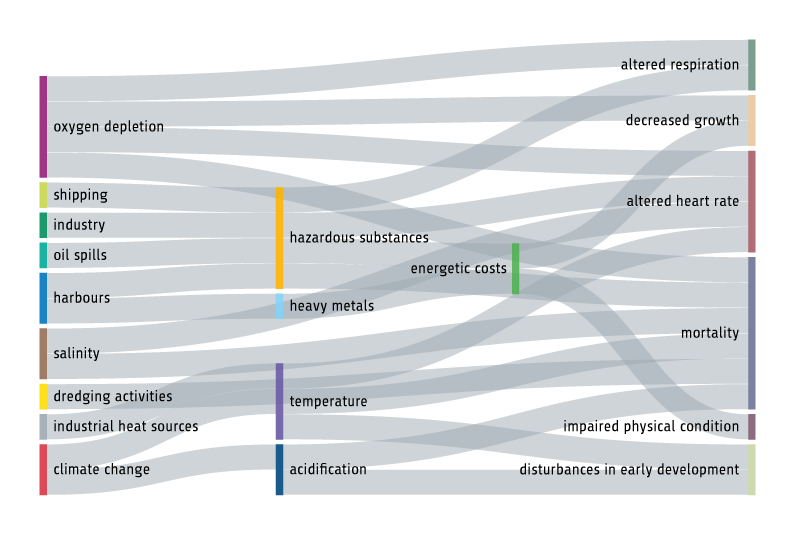 They are also critical in order to be able to detect potential changes at an early stage. The core indicator ‘Zooplankton mean size and total stock’ functions as a food web indicator by monitoring changes in both the abundance and size structure of primary consumers. In all sub-basins where the zooplankton indicator does not achieve the threshold value, this is due to a decrease in the proportion of large-sized taxa. Among primary producers, an indicator measuring the ratio between diatoms and dinoflagellates is tested in the Eastern Gotland Basin. Both these groups of phytoplankton are important food for higher trophic levels, but shifts in their relative abundance, attributed to eutrophication or climate change, may affect the nutrition of zooplankton and lead to subsequent changes in other parts of the food web. The combined results suggest that conservation and management to restore biodiversity should increasingly include consideration of combined effects in the food web, as well as climate change. Climate-related changes in hydrology and seasonality are foreseen to affect species both directly, via effects on population growth and distribution, and indirectly via species interactions and changes in food availability. 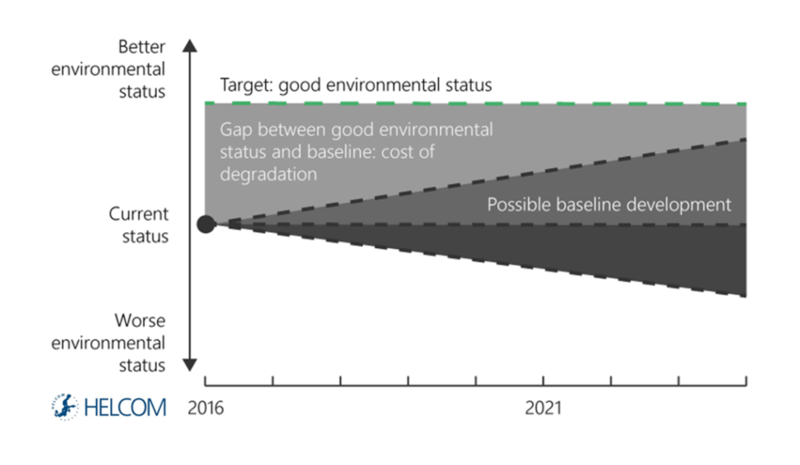 For some core indicators, the inadequate status is also linked to changes in the physical habitat. The overall availability and quality of breeding and feeding areas for species is often unknown on the regional scale. Particularly in coastal areas, a gradual deterioration due to construction, habitat disturbance or eutrophication is of concern. 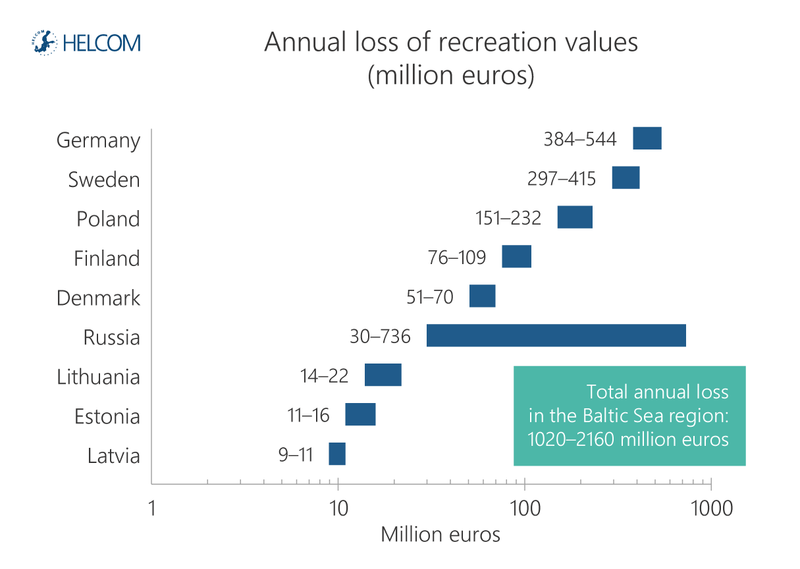 In addition, many Baltic rivers have lost their function as production areas for migrating fish species, due to damming of rivers, hydropower or dredging, exemplifying also the importance of interlinkages between marine areas and surrounding land. 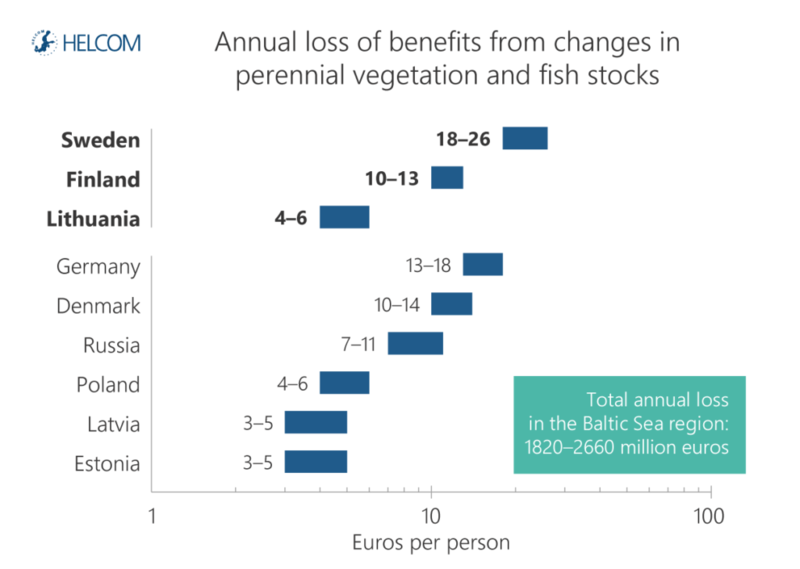 Deterioration of marine biodiversity may result in welfare losses to society (See Chapter 3 Human welfare and ecosystem health). 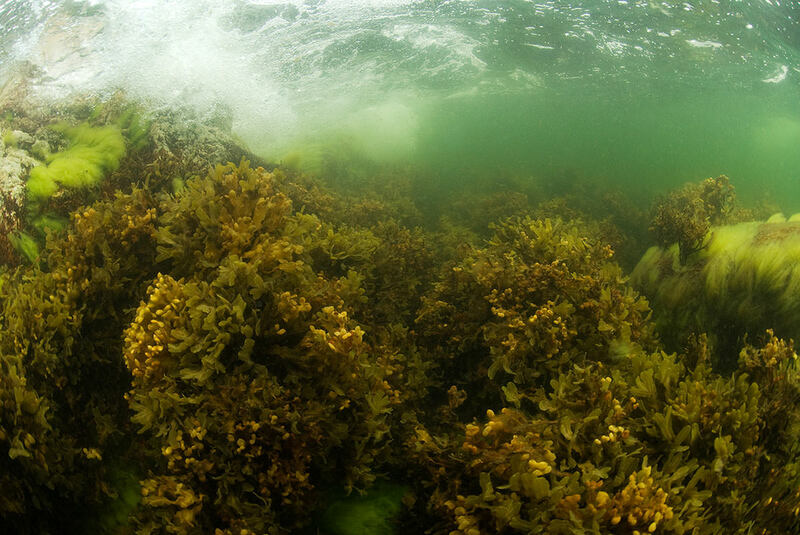 Although the effects may not be directly observable, people obtain benefits from knowing that the marine ecosystem and its species are thriving.